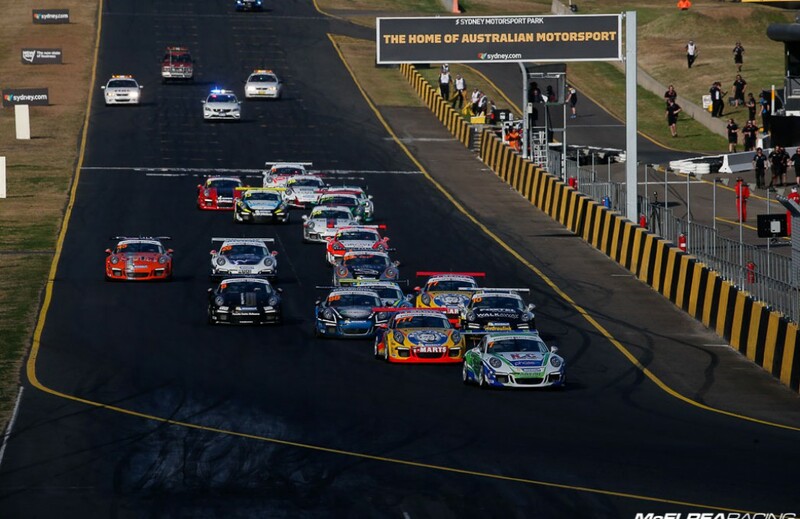 It has been a busy time for the Awesome MR Crew and they have not stopped since the great results at the GT3 Cup Challenge Round at Queensland Raceway a few weeks ago. 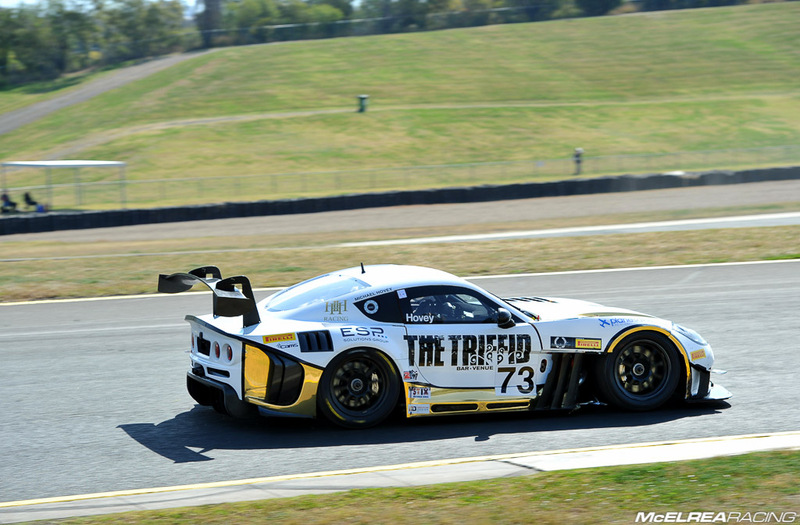 Adding to the workload for Sydney Motorsport Park was the addition of a fourth car to run in the Australian GT Championship with Tim Miles driving the V12 Aston Martin Vantage GT3. Matt did a great job to qualify on the front row for the 4th time in 5 rounds in 2015. After a season best start in the opening race, Matt lead for 6 laps until a small mistake let Foster by. 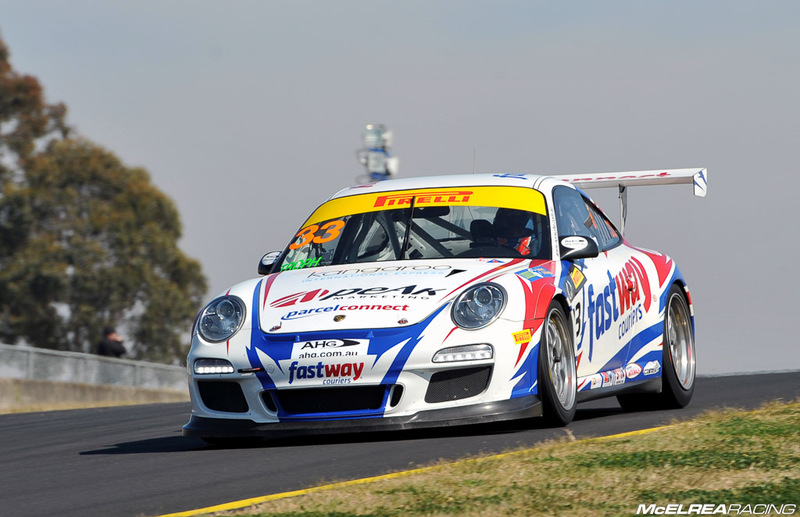 Due to Foster’s jumped start he only had to stay within 5 seconds to record his first Carrera Cup win. In race 2 he had another good start, and lead Foster for an intense 19 lap race where the gap between the was never more than 7 tenths of a second. 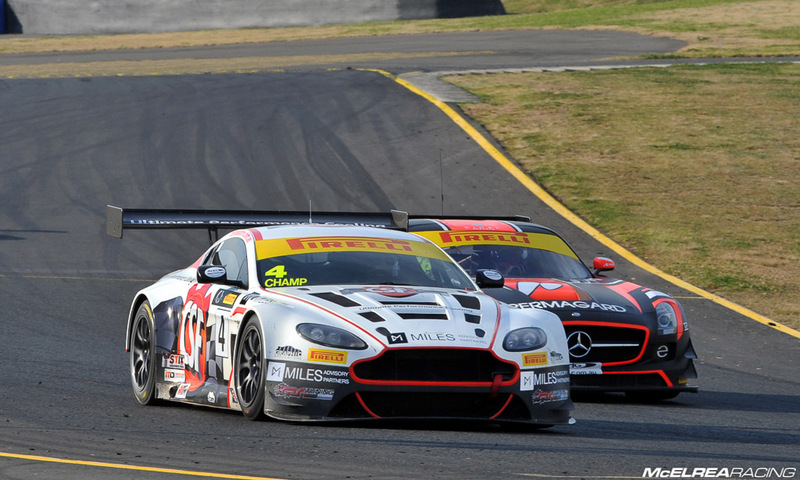 In race 3 he got too much wheel-spin which allowed Foster, Russell and Baird to get by. He did his best to get by Baird but was unable to pass the multiple champion. The team is thrilled that Matt was able to record his first podium finish for the season. In race 1 Shane got a good start, and drove a brilliant race to finish 10 seconds ahead of the second place Challenge Class driver Steve Grove. In race 2 he had a bad start and dropped to third but had a very exciting race with Mastronado and Bergmuller. In race 3 he got a good start then did a fantastic job to pass Mastronado and Grove to take the class lead and win his second race for the weekend. He has increased his lead in the championship with his third round win in a row. Wallsy qualified 10th in Champ class, which was a good result considering the amount of Pro drivers in the AGT category these days. He had a good race 1 and after a few laps got into a really good rhythm and good pace. He pitted under safety car which came out around the 25 minute mark. The result of the safety car was that pit-stop time penalty imposed on the Pro drivers was neutralised by the fact the cars all pulled in behind the SC. 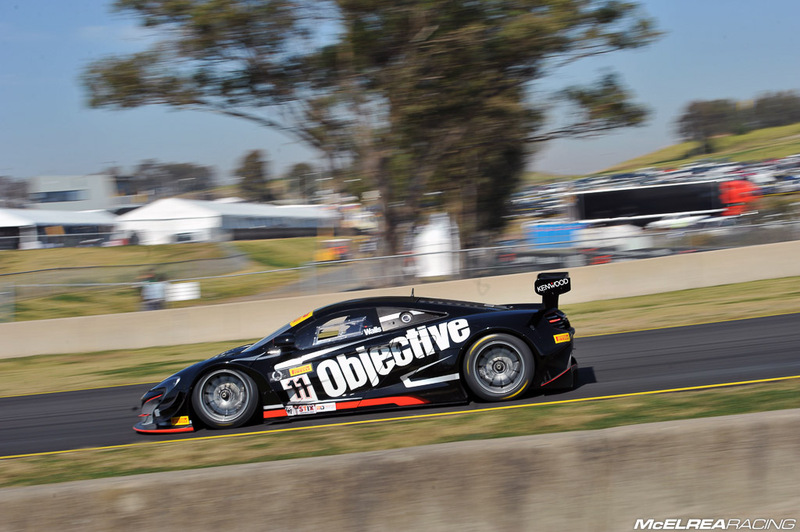 In the second half of the race he did an excellent job to finish ahead of fellow McLaren 650S driver Tony Quinn. In race 2, like half of the field, Wallsy and his Engineer decided starting on slicks was the better option due to the damp track surface being likely to dry out quickly. A few small unexpected rain showers ensured the track didn’t dry nearly as quickly as expected. The awesome boost of the twin turbo V8 on a greasy track with slicks caught Wallsy out on the exit of turn 3 forcing a DNF. Simon was joined by MR team-mate Warren Luff for this round and they qualified an outstanding combined 3rd in class. 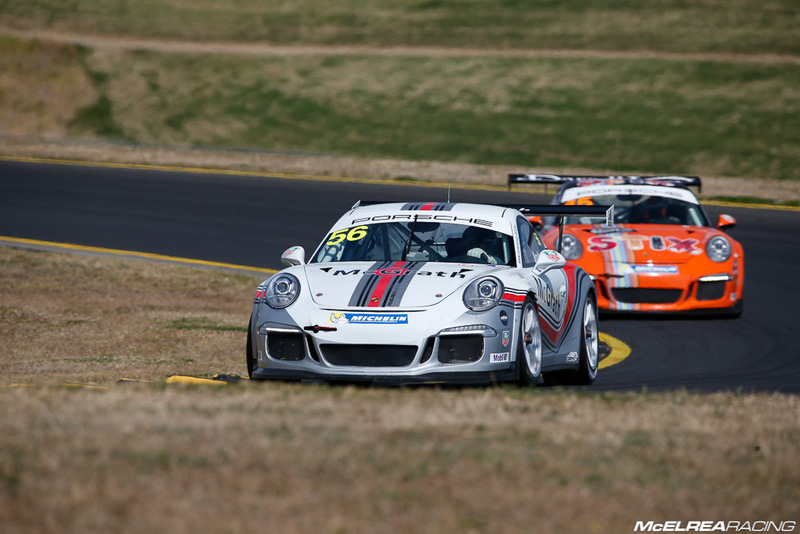 Luffy started race 1 and had a blast running as high as 12th outright for most of his stint. He pitted under the safety car session around the 30 minute mark to hand over to Simon. Due to the Ferrari damaging the tyre wall at turn one, there was a big delay causing the safety car to stay on track until 6 minutes remaining. This led to Simon only needing to complete 3 race laps until the end of the race. For race 2 Simon started on wet tyres and did a great job despite it being only his third time racing on a wet track. Due to Luffy being a Pro driver and not allowed to do more than 55% of the race duration, Simon wasn’t able to hand the car over under the safety car period, so we kept him on track until the 38 minute mark hoping for another safety car before the pit window closed after 40 minutes. As a result Luffy bought the car home in a disappointing 6th in Trophy class. 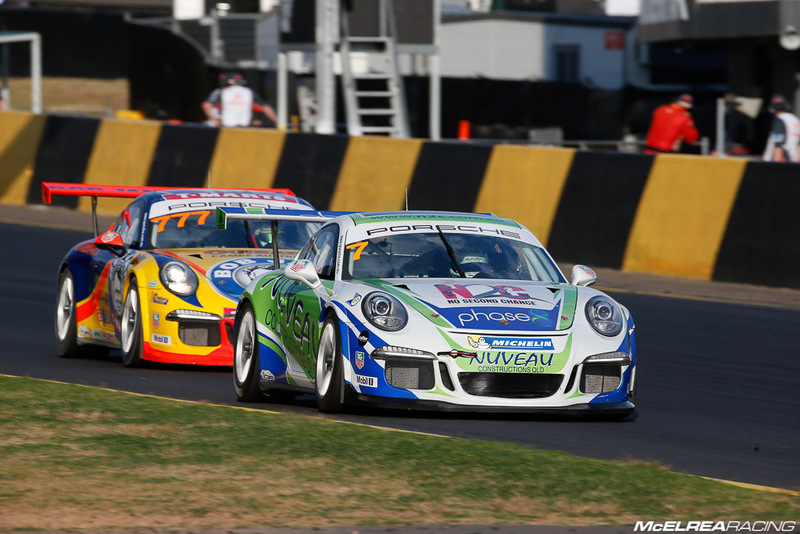 Hoves was joined by understudy Matt Campbell for Sydney Motorsport Park. Like the 101 race at Phillip Island in May, Matt did an extraordinary job to qualify the Ginetta fastest in the first AGT qualifying session. However, due to exceeding the track limit (on a completely different lap) his fastest time was taken away forcing a combined qualifying position of 11th in Champ Class. In race 1 Matt drove through the field from 13th outright until a drive-belt came off forcing the engine control unit to shut the engine down to avoid terminal damage. During the overnight preparation the MR crew found some cracks in some critical steering components and on the grounds of safety we decided to retire the car. 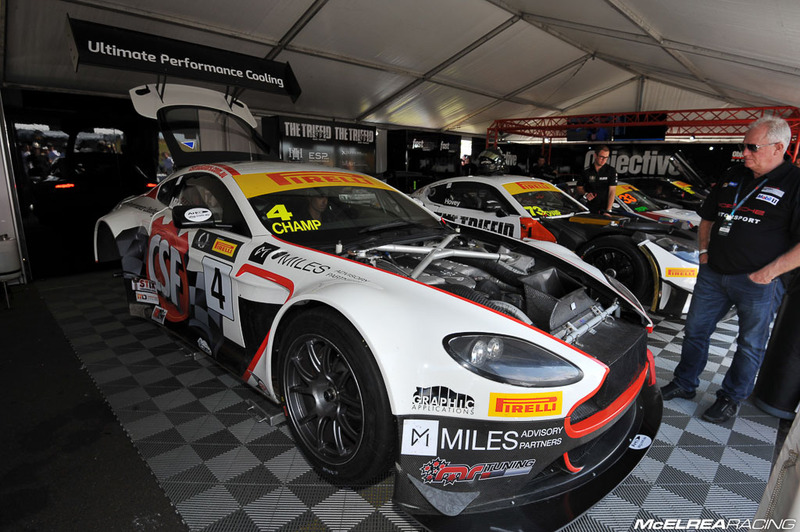 The regular GT3 Cup Challenge driver, joined to AGT championship on a one-off appearance in the fearsome V12 Aston Martin Vantage. He qualified 17th and did an excellent job in race 1 evidenced by achieving the 8th fastest race lap time. Due to the crowded pit-lane during the safety car intervention we were unable to pit Tim with Simon and Wallsy. Pitting the following lap ended up forcing Tim to lose a lap and a certain top 10 finish. On the Sunday morning race like Wallsy, Tim and his engineer also decided to start on slicks due to the damp track surface being likely to dry out quickly. This created some very exciting V12 powered moments for him until he swapped to wet tyres which made the Aston for more manageable for the remainder of the race. Well what a crazy weekend! It was heartbreaking for our AGT drivers Tony Walls and Michael Hovey with their bad luck, a very educational weekend for Tim and Simon. 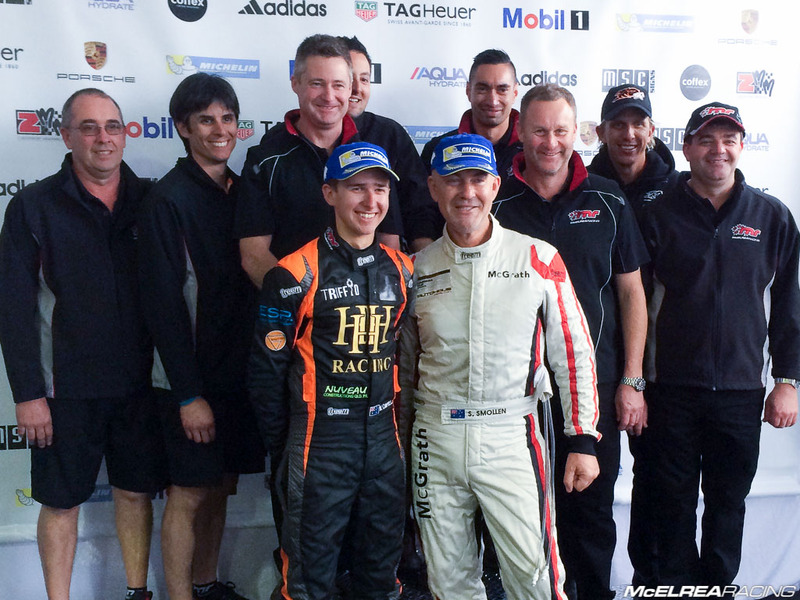 Obviously it was phenomenal for MR to have our protege Matt Campbell win his first two Carrera Cup races and particularly given the extraordinary pressure he withstood for his lights-to-flag victory in race 2. We are also thrilled for Shane extending his TAG Heuer Carrera Challenge Championship lead. There is still plenty to play for with nine races remaining so we need to keep our eyes on the prize!